Situated just west of Houston, the city of Katy, Texas is popular for its strong heritage with its small town vibe. See what the buzz is all about that makes Katy, Texas the best place to live. Situated within the 8,100 acre master planned community, Cinco Ranch in Katy, TX blends up-town style with old-world charm and is ranked the #2 in Best Places to Live in Houston Area by niche.com. Cinco Ranch offers residents luxury with a down-to-earth twist. Enjoy all that the community offers from nature trails and gardens to tennis courts, golf club, water park and pools. You will love to come home to Cinco Ranch located south of I-10 off the Grand Parkway. Just west of Katy, TX, Cross Creek Ranch is picturesque community for children to grow up. Cross Creek Ranch is nationally recognized as #25 of the top master-planned communities in 2018 by RCLCO. Enjoy 32+ miles of hiking and biking trails, splash pads for the kiddos, golf course, ponds, fishing docks and water access points, tennis courts and much, much more. With parks, trails, lakes and orchards close by, Seven Meadows is quickly become a Katy family favorite. Built to suit families and active, adventurous lifestyles, there are endless options for recreation like tennis courts, a fitness center, golf courses, and swimming pools. Seven Meadows is conveniently located Just north of the Westpark Tollway and the Grand Parkway making commuting a breeze. 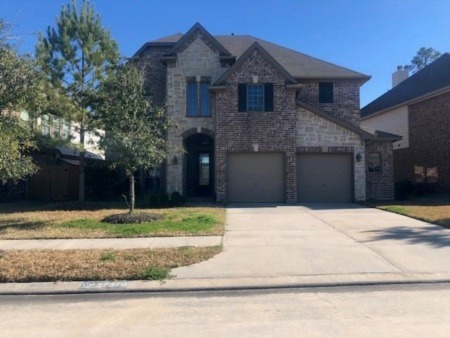 Located in Fort Bend County in highly acclaimed Katy ISD, Grand Lakes is conveniently situated close to the Grand Parkway, I-10 and the Westpark Tollway. Grand Lakes integrates over 100 well stocked lakes, several parks and recreation centers, along with pools, splash pads, walking trails and even a lazy river! There is something for everyone in the community. Beautiful Willow Creek Farms just west of Katy, Texas is just minutes from shopping, I-10 and the Grand Parkway. With over 1,100+ homes, Willow Creek Farms offers exceptional homes, walking trails, olympic-sized pool, splash pad and parks. Zoned to highly acclaimed Katy ISD makes Willow Creek Farms a great choice for families.